Namco’s upcoming game “Puck-Man” is location tested in a movie theater complex in Japan. After favorable initial testing, the game is slightly tweaked, with the most major change the renaming of the game to “Pac-Man”. 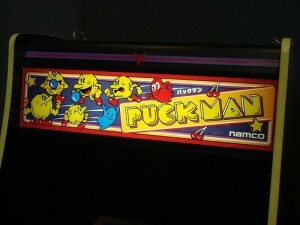 Midway, Namco’s U.S. distributor, thought that vandals would alter the letter “P” to an “F”. While the game was not officially released until later in the year (October 10th in the US), the creators of the game consider May 22 to be Pac-Man’s birthday because it was the first time the game was shown to the general public. One of the little known facts about Pac-Man is that it was specifically developed to be popular with women. Most video games of that time had a war or sports theme to them and women were generally not interested in those games. Pac-Mac would be the first game popular with both men and women and was the first video game to become a social phenomenon. Pac-Mac generated over $2.5 billion by the 1990’s, becoming one of the highest grossing video games of all time.